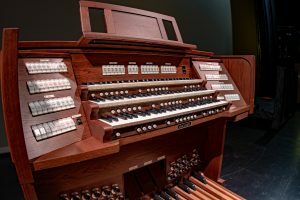 The UNICO 370 American Deluxe is our finest example of American Organ Building from the turn of the 20th Century, both physically and sonically. ‘Out of the box’, its sound take you back to the birth of congregational hymn singing as we know it. But if you are looking for a later American Classic, American Contemporary, French, English, or even Baroque organ, the possibilities are limitless with our Physis® Physical Modeling Technology and everything is easily accessible onboard with the touch of a button. Upon installation, a member of our highly skilled and dedicated tonal team will voice your new UNICO 370 to be truly, ‘Your Organ. Your Sound’™.